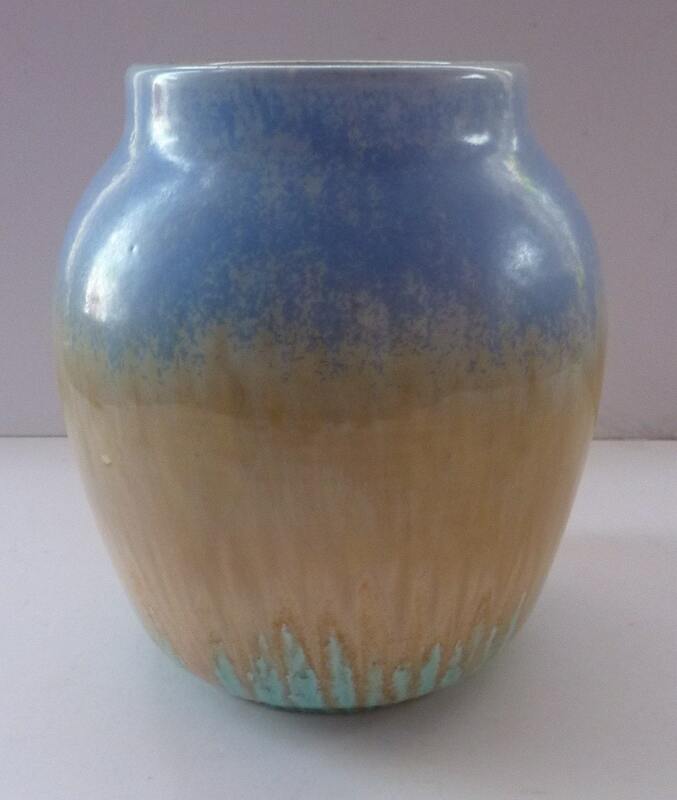 This is a lovely 1930s vase made by the Ruskin Pottery - marked to the base: RUSKIN England 1932. The vase also has the signature for William Howson Taylor (very slight scratched in the glaze on the base - but certainly legible). 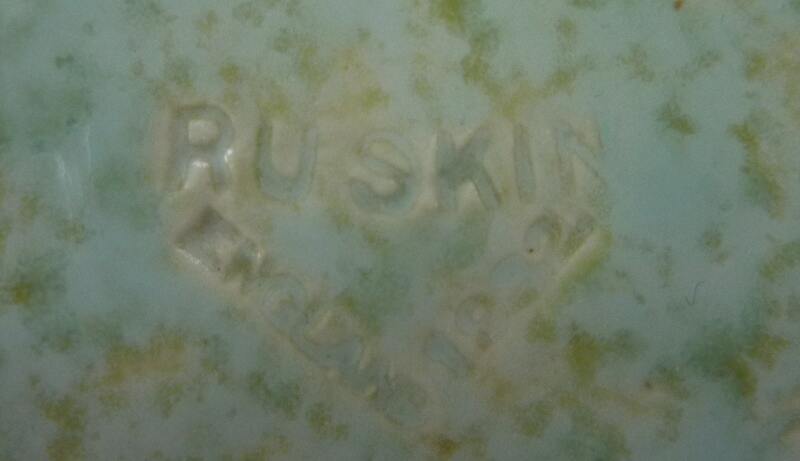 Ruskin Pottery was founded in 1898 by Edward Richard Taylor, who named the studio after the celebrated artist, John Ruskin. The pottery was located at Sandwell in the West Midlands and was managed by Edward's son, William Howson Taylor. 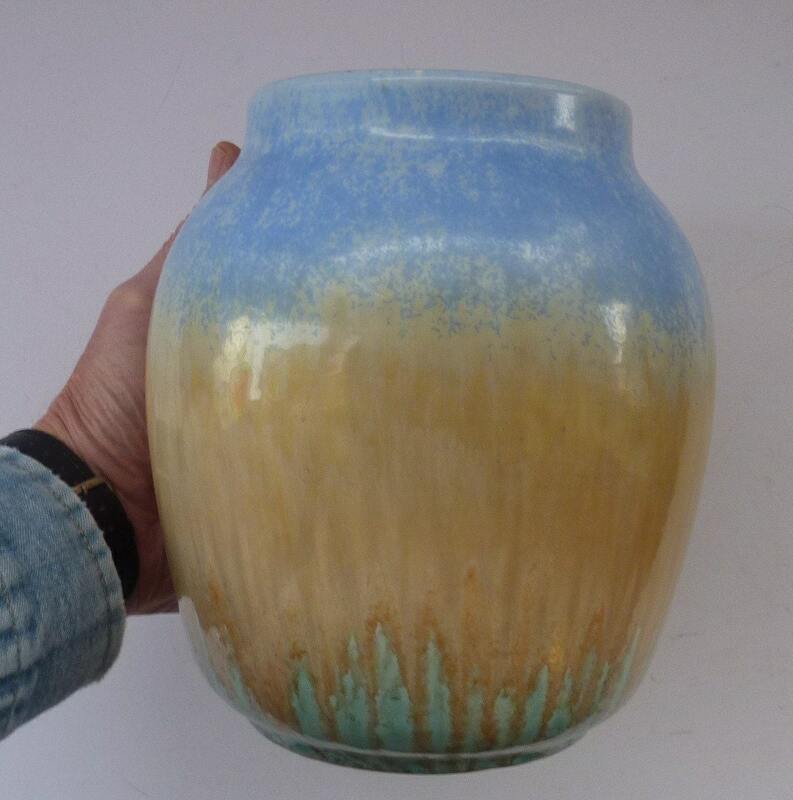 Ruskin pottery experimented with glazes, producing innovative designs on a whole array of items - from vases to tea services and from buttons and jewellery to large bowls. Many of the extraordinary glazes were devised by William - who looked at early Chinese pottery of the Sung and Ming dynasties of the 13th Century. 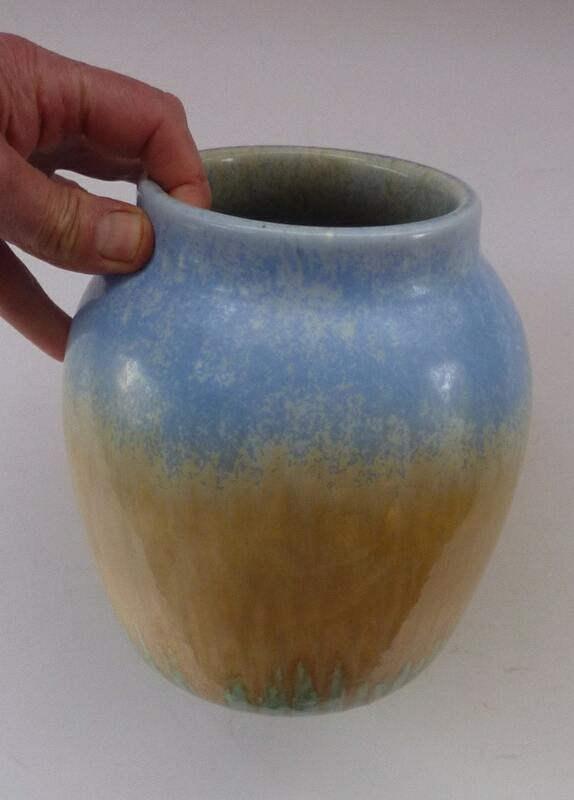 Taylor's glazes concentrated on a range of colours and were unique with speckled, mottled, lustre and flambe finishes - these are highly sought by collectors. 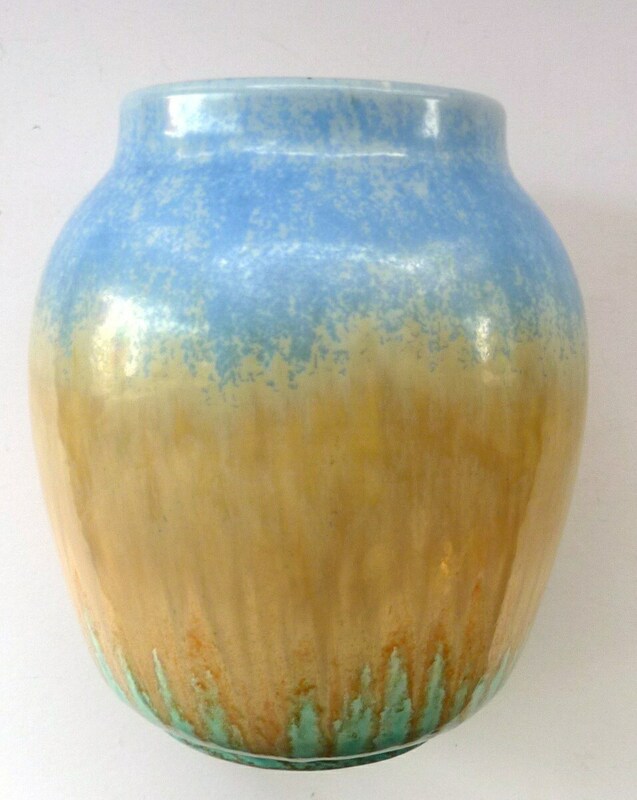 My vase dates to 1932 and it is a stoneware crystalline vase with a gradulated three tone glaze - with a mottled blue and and base layers of turquoise and honey coloured drip glaze. All very subtle and with a nice sheen to the glazes. A lovely larger example and lovely shape. It is 7 1/2 inches in height and with a diameter of about 6 3.4 inches. It is in excellent condition with no damages.